Ben is a local teacher passionate about equity. He has worked in the education and political sectors over the past decade. His experience working for Member for Eden-Monaro, Dr Mike Kelly, gave him a desire to help address the inequity in Australia’s education system. After seeing the challenges faced by local students in his region, Ben worked to found Raising Hope Education Foundation. Raising Hope trains and supports university students to volunteer in local schools and continues six years later. He recently completed Teach for Australia’s Leadership Development Program and retains a passion for ensuring that all young people are empowered to succeed. 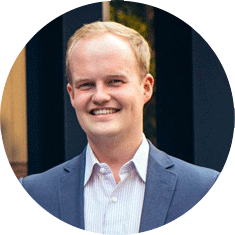 He currently works as both a high school teacher and in policy research with the Council of Small Business Australia. Ben has previously served as Chair of the Australian National University Union and on the Board of the Bendigo Community Bank Group in Canberra.